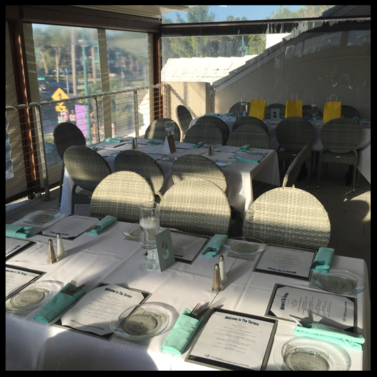 Enjoy your next engagement with stunning views and expertly prepared cuisine! We work with any couple, parent or wedding coordinator. 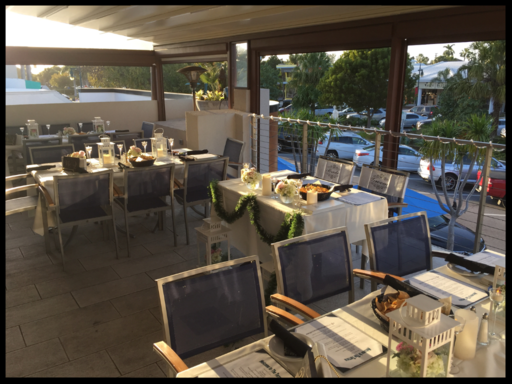 We are frequent diners at the Terrace. Every item we have tried from the menu was excellent and the prices are reasonable. To top it all off, they have a great piano bar with excellent musicians. Try Saturday or Sunday when Eddie Tobin is at the keys. You will not be disappointed. I love this place! I recently vacationed in the area and this was a wonderful place to eat, drink or just have appetizers. They have music at night and the staff were great. I would definitely head back again. The tacos were delicious and the queso was even better. My son was married on the beach at the Ritz Carlton Sarasota on the Monday before Thanksgiving and instead of a rehearsal dinner we wanted something that all the guests could attend that was informal and different. We decided on the Terrace at Surf Shack and what a great choice it was! 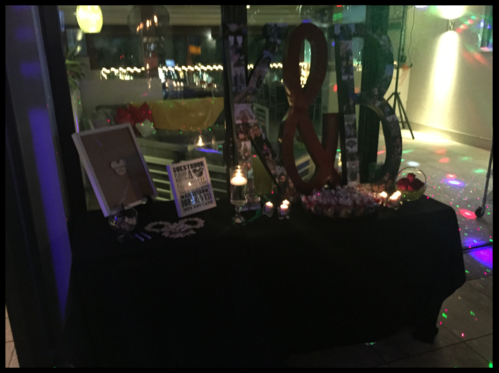 Everyone involved was so easy to work with, flexible, and went out of their way to ensure our event was successful. 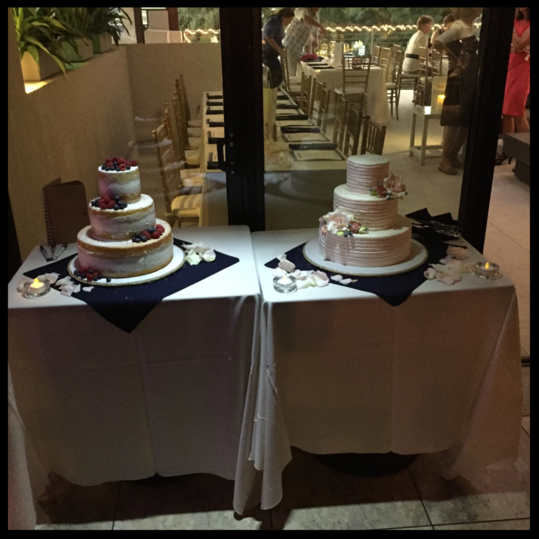 The food was amazing and plentiful, the set-up was lovely and all the guests had the opportunity to get to know each other before the wedding. 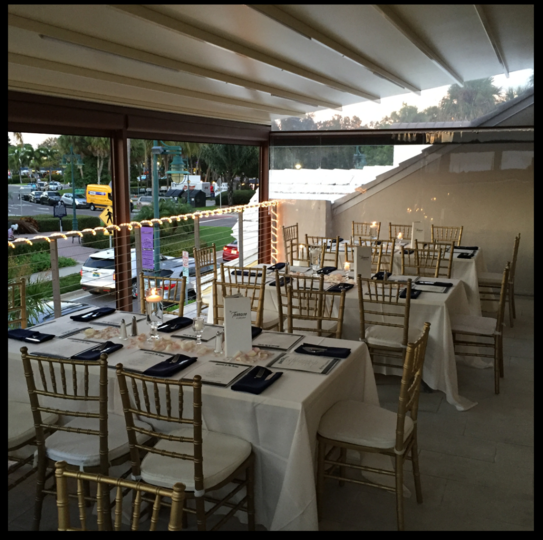 Everyone who attended just raved about the setting, the food, and the service–the fish tacos were to die for! We highly recommend the Terrace at Surf Shack and if we are in Sarasota we will be going back again. Loved this place! Sat outside for a snack for lunch. Service was wonderful. Nice view. Ate the buffalo chicken egg rolls and the lobster bites. Both were amazing! Hawaiian margaritas were great – pineapple was right on the money! Would definitely eat here again. Definitely stop into this restaurant if you’re in the St. Armands circle or area. First of all happy hour is from 3-6 every day with half priced drinks. And second of all they have about 20 different options of gourmet tacos you can choose from. 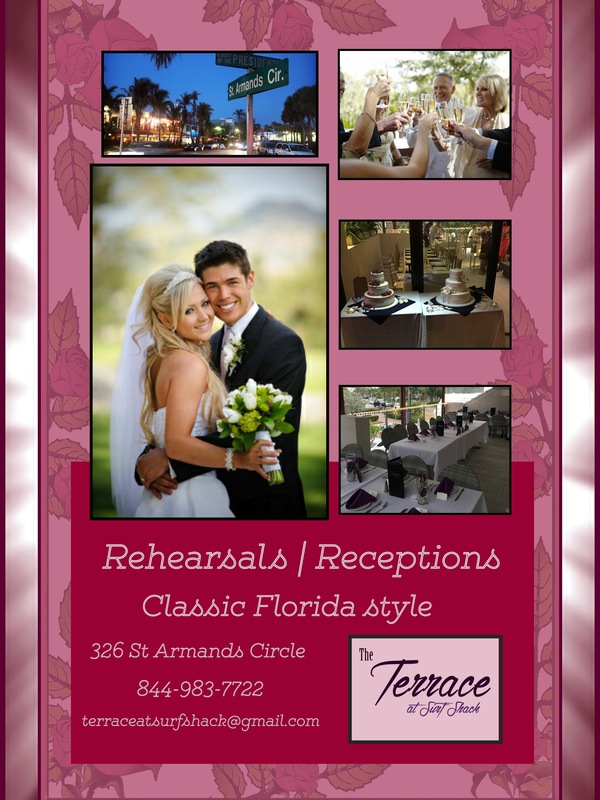 To top it all off, they have a beautiful upstairs patio overlooking St. Armands circle. What more could you ask for?! My boyfriend’s aunt and uncle took us to dinner here during our visit to Florida. We started out with an order of the nachos. They were divine. The queso cheese sauce that they put on top makes the dish. Myself, boyfriend, and his uncle ordered off of the taco menu. I ordered the island lobster taco and surf and turf taco. Island lobster taco consisted of crispy lobster in a coconut curry sauce with shredded cabbage and a pina colada aioli on top. Ok yum. Surf and turf taco had marinated steak and grilled shrimp in a pesto sauce with crispy onions and monetary jack cheese on top. Also yum. All of the cocktails and drinks that we ordered were also delicious. I don’t have one complaint about this restaurant. The food was fresh and delicious, the location and view was spectacular, the service was quick and friendly, and who doesn’t love a good happy hour. I can see how it can get a little expensive if you don’t make it for happy hour or if you order an entrée. The tacos are cheap, but the entrees seemed to be pricier. I completely loved this restaurant and cannot wait until my next visit!